Reflections on developing listening comprehension in a new language. Watch a Real Bad Lecture here! Rhetorical feature: Tedium – Lecturer presents a boring perspective and speaks in a monotone. Rhetorical feature: Interruption – Lecturer tries and fails to use cutting-edge technology to enhance student learning. Rhetorical feature: Rambling – Lecturer digresses from the topic to tell irrelevant stories and personal anecdotes. Unit 4: Wait a sec! Rhetorical feature: Disorganization – Lecturer constantly mis-states facts, confuses issues, and has to correct self. Rhetorical feature: Information Overload – Lecturer gives too many statistics, facts, and citations to prove every statement, as if students wouldn’t believe her. Rhetorical feature: Jargon – Lecturer constantly uses colloquial expressions and metaphors from American football. Rhetorical feature: Autopilot – Lecturer doesn’t notice when the pages of the lecture are in the wrong order. Rhetorical feature: Comedy – Lecturer relies on puns and inappropriate jokes to keep the students’ attention. Happy April Fools’ Day everyone! 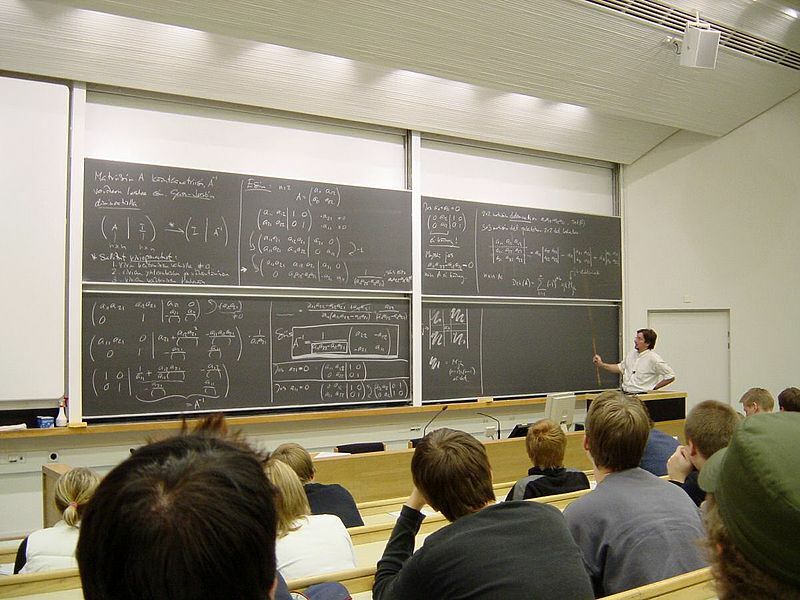 Photo credit: Math lecture at TKK.JPG by Tungsten is free of known copyright restrictions.